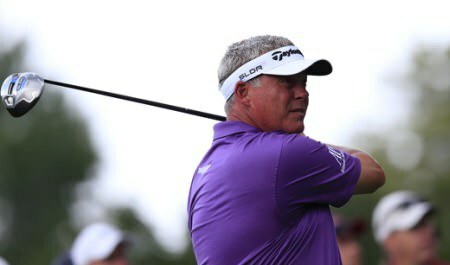 Darren Clarke clinched his first top-ten as a senior when he closed with a seven-under 65 to tie for tenth in the Oasis Championship in Florida. The former Open champion (50) finished ten strokes behind Bernhard Langer (61), who also shot 65 to win his 39th PGA Tour Champions title by five strokes from American Marco Dawson on 19-under at the Old Course at Broken Sound. The German’s second win of 2019 helped him pass Hale Irwin as the most prolific money-winner in the history of seniors golf on the US circuit. The two-time Masters champion has won 39 times from 235 PGA Tour Champions starts, racking up an additional 33 second place finishes, 23 thirds and, another 165 top-10s, banking a whopping $27,196,504. That’s an average payday of $115,729 per event or $37,000 per round played. "There's many things to celebrate," said Langer, who birdied five of his first seven holes to streak clear of the field and is now just six wins short of matching Irwin’s 45. "The key to success is a lot of things. You've got to be healthy, otherwise you can't play, and a lot of guys at age 61 aren't healthy anymore. “They had this operation or that operation or a knee replacement or a hip replacement or whatever it may be. So I've been fortunate enough not to have any major surgeries so far besides my thumb in 2011, so that's key." Irwin has earned $27,120,554 in 474 starts, winning 45 times. However, he’s missed 12 cuts compared to zero for Langer, who won just three times on the PGA Tour (Masters 1985, Sea Pines Heritage 1985, Masters 1993) and has combined earnings between the regular and senior tours in the US of $37,839,748. Clarke has now played seven events on the PGA Tour Champions since he turned 50 last August with last night’s top-10 worth $39,100. The Dungannon man has made $95,843 from his seven starts and impressively topped the driving distance statistics in Florida with an average drive of 300.2 yards, surpassing Scott Parel (295.7) and John Daly and Brandt Jobe (294.5).